Bring me all the Bennys! 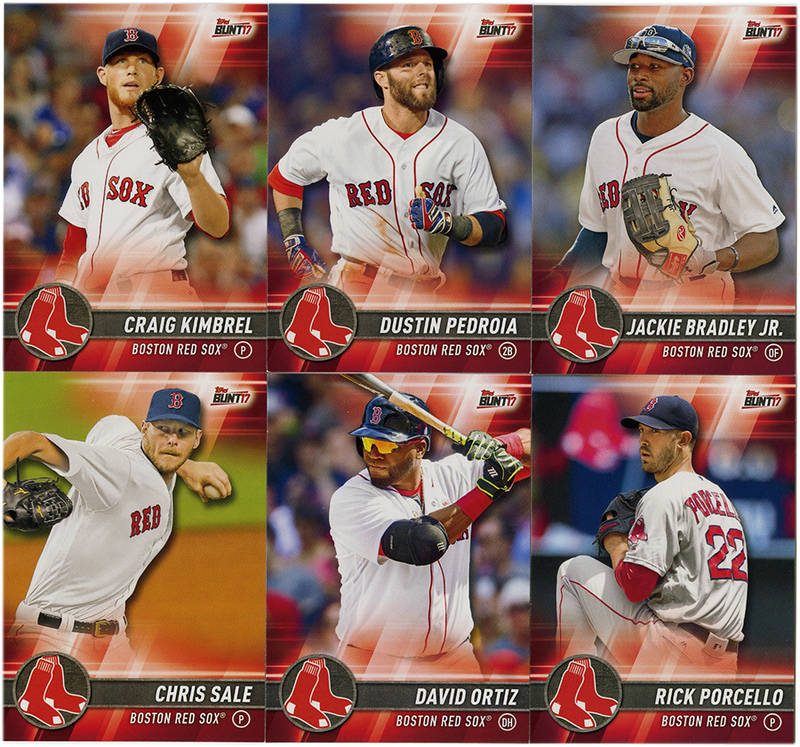 You can’t go wrong with a whole bunch of Trout cards. 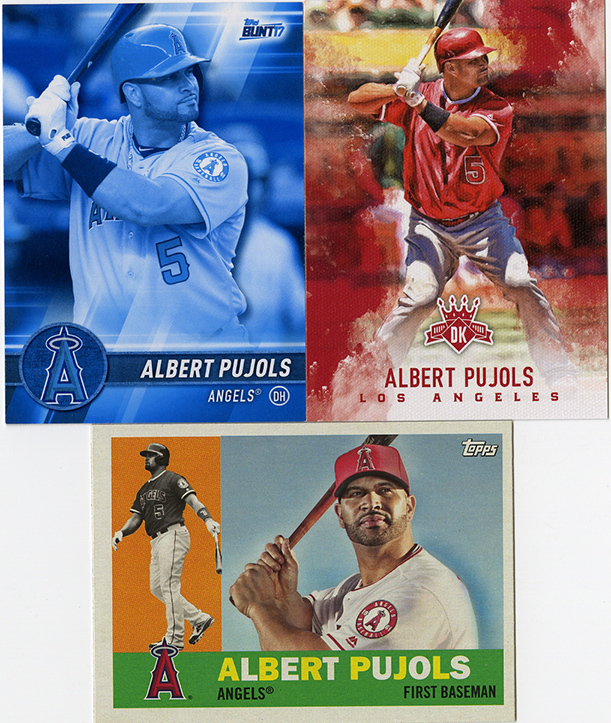 Along with Pujols, they’re obviously the faces of the franchise, and are represented extensively in just about every product. 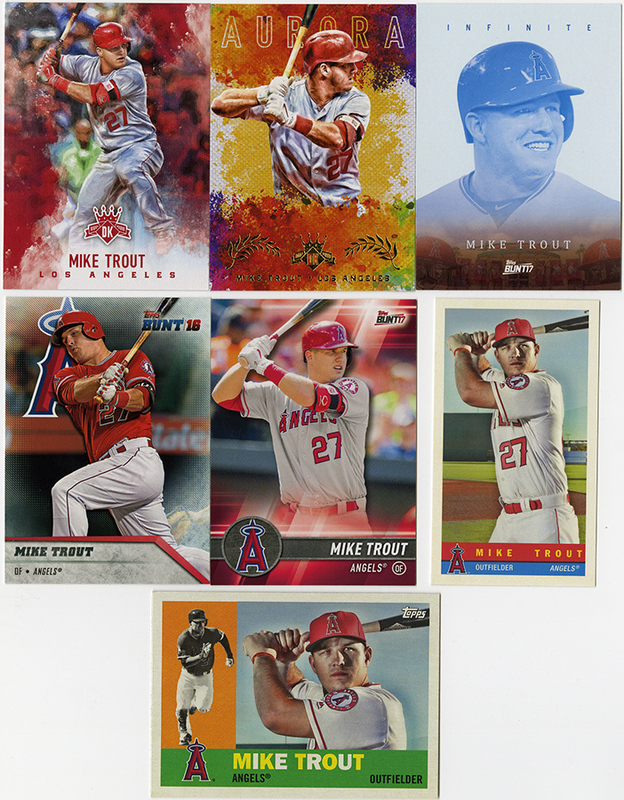 There were a couple other Angels cards, which will inevitably go into an Angels trade stack, but let’s be honest, you just want to see the Trouts. 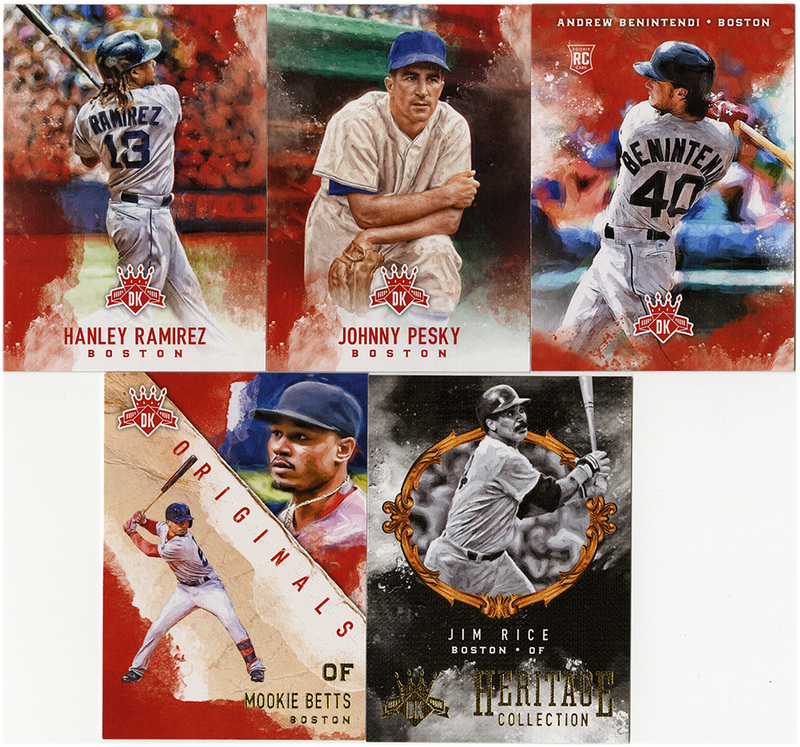 Here’s the last of the 2017 inserts, “Infinite”, which I’ve already touched on through a few customs. 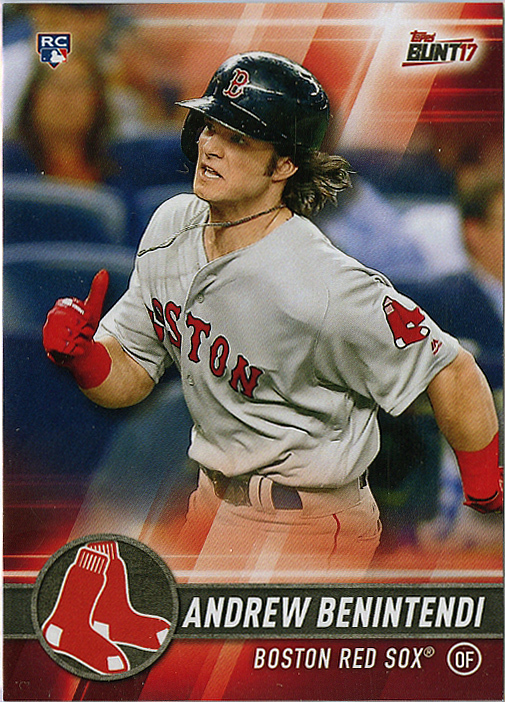 Chris did pull a nice #/99 green parallel of Drew Pomeranz for me, so that’s nice. 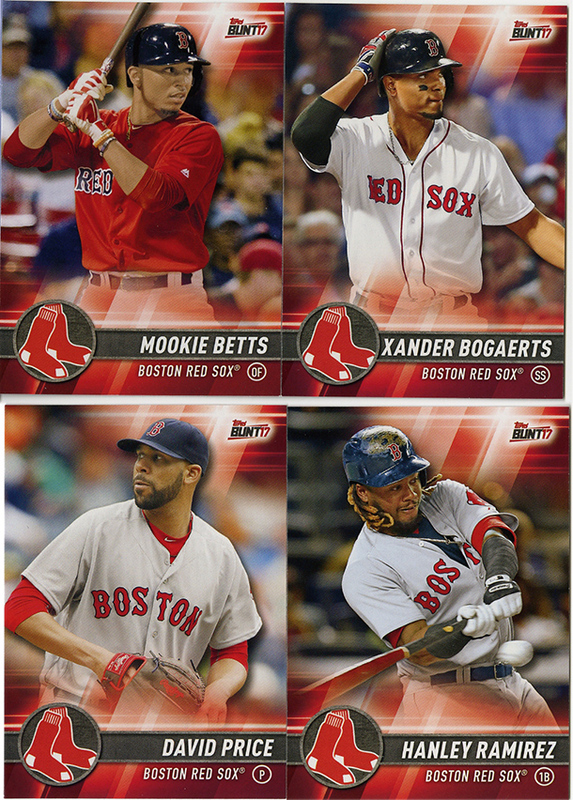 He also opened a blaster (if I remember correctly) of 2016 Bunt, which had a weaker design, but also included that really nice “Programs” insert I mentioned. 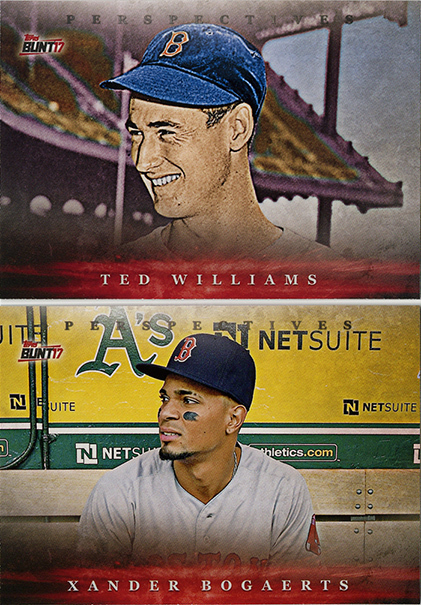 Up next, some of the cards from Archives. As I mentioned at the top, I don’t mind Archives as much this year. 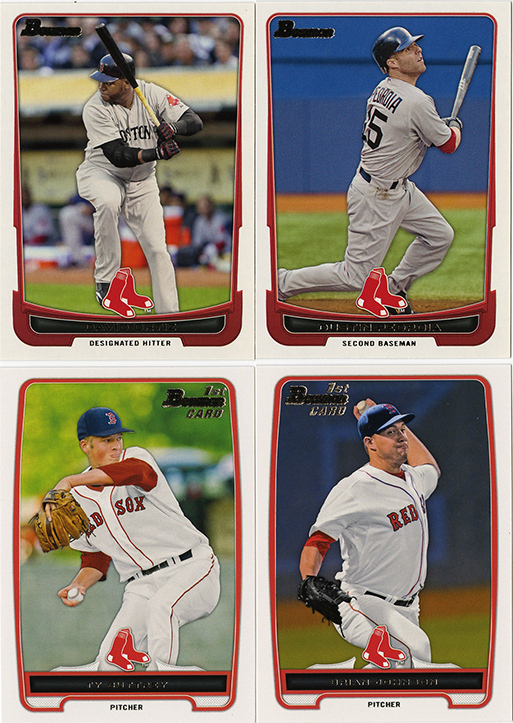 In the past I’ve felt like the material was so flimsy and the designs so recycled that it was nothing more than a cash grab for Topps. 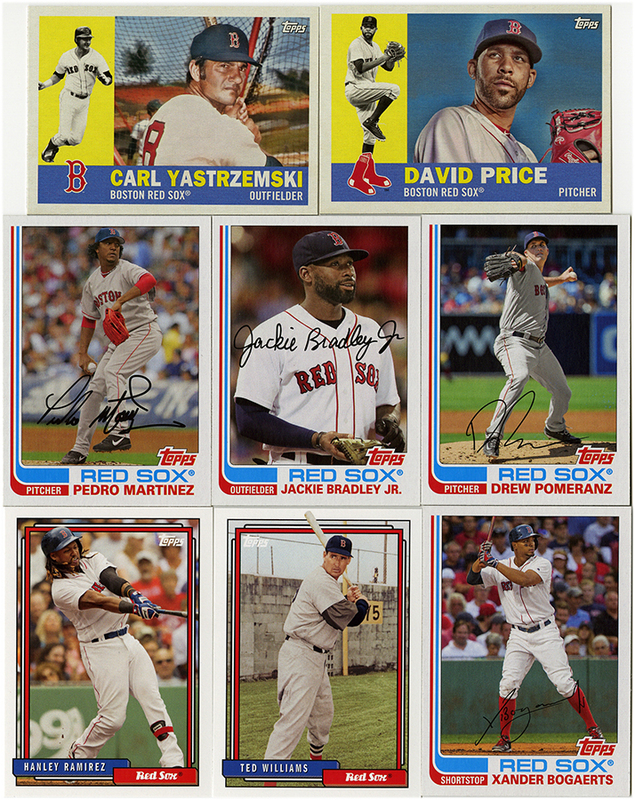 This year seemed a little better quality, the card stock is better, the designs are nicer and they even created some minis (see Trout above). 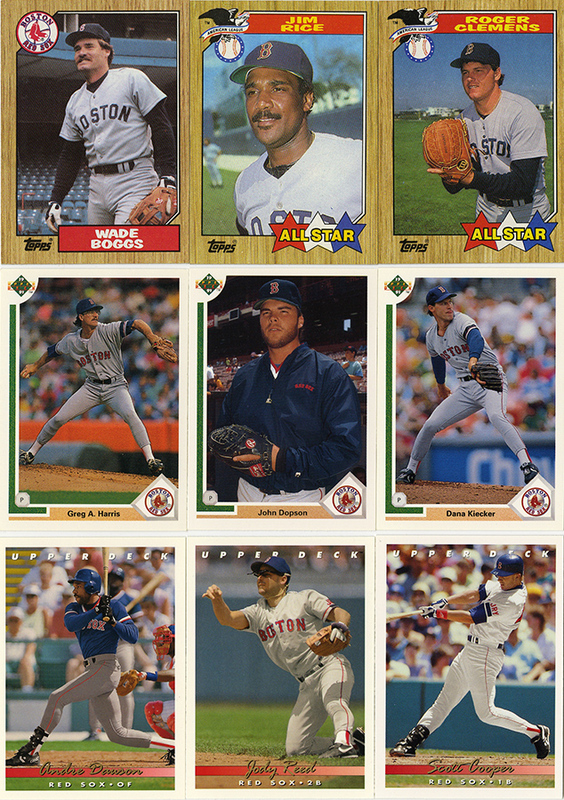 1960, 1982 and 1992 were all pretty safe choices for designs to borrow. No complaints there. 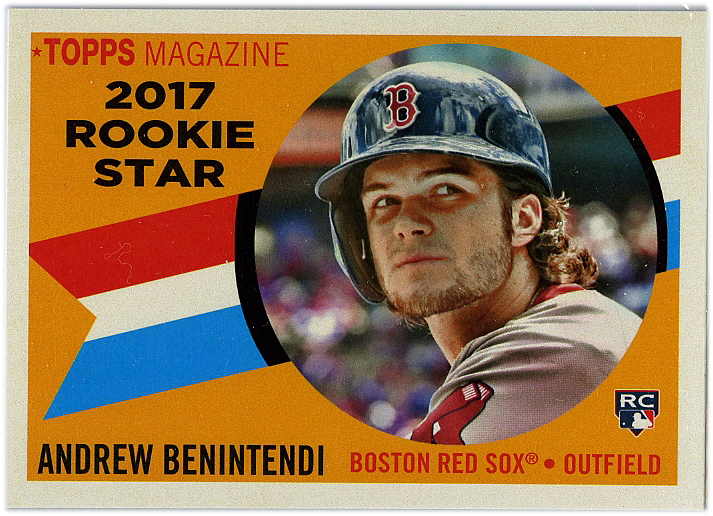 The last card from Archives, and honestly, one of the best looking Benintendi RCs available. Iconic design, bright colors, all good things. 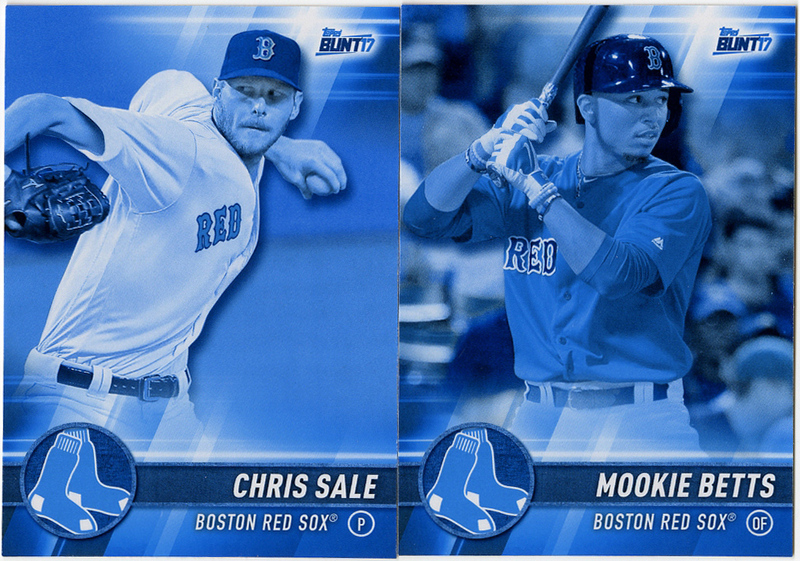 Also, my cards from the Diamond Kings box. 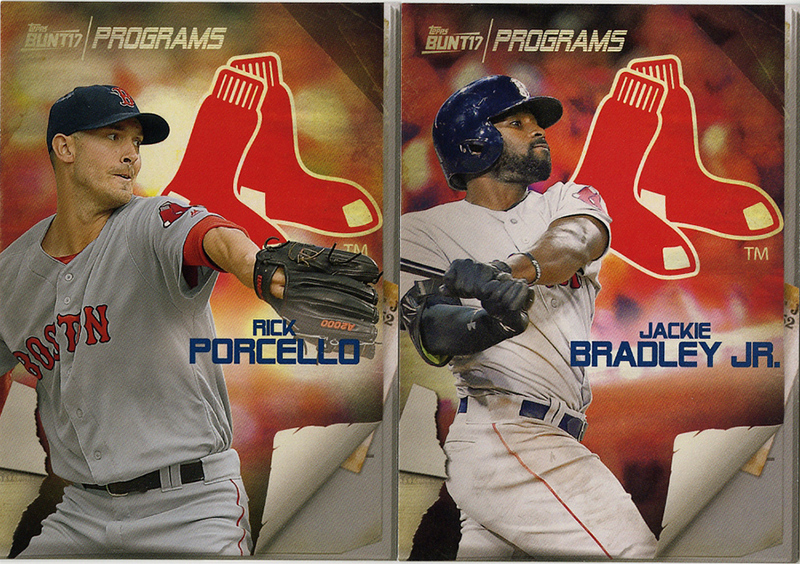 A bit underwhelming, but understandable given the amount of total cards in the hobby box. 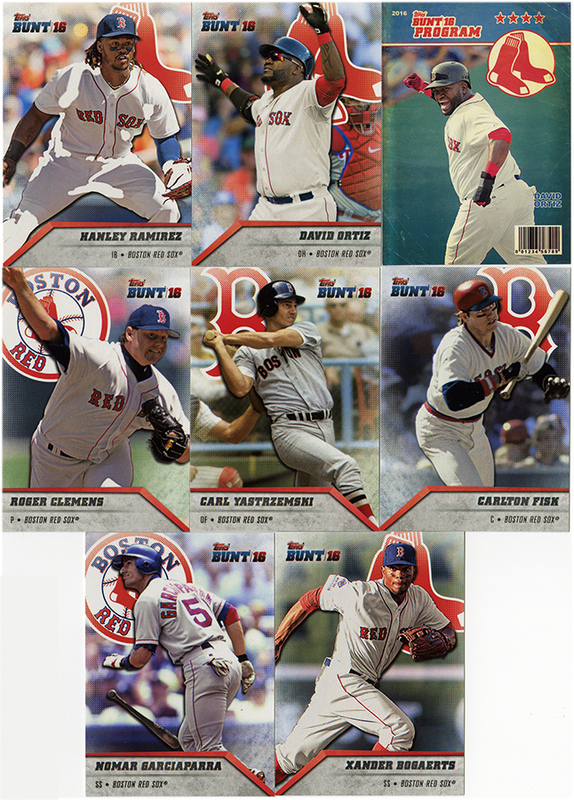 I also had most of the team set anyway, with the exception of that Rice “Heritage Collection” insert, so checking that off the checklist was a big help. Before I show the big hit of the break, I also wanted to thank Chris, not only for the break itself, but for including a good number of “bonus” cards in everyone’s boxes. 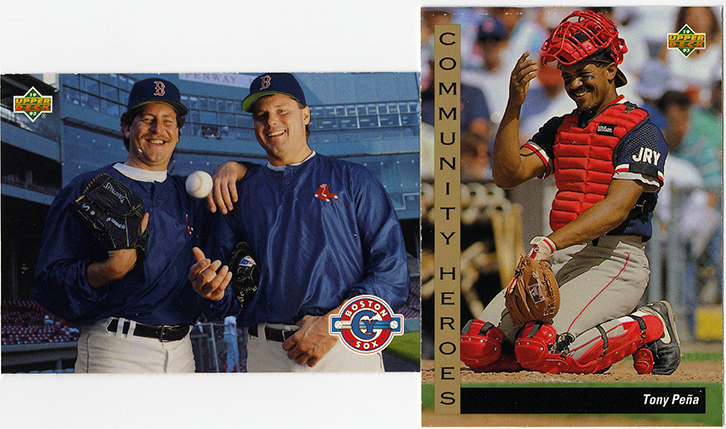 He filled priority mail boxes to the gills with extra cards from his collection. Spring cleaning for him, bonus cards for us. Win-win. 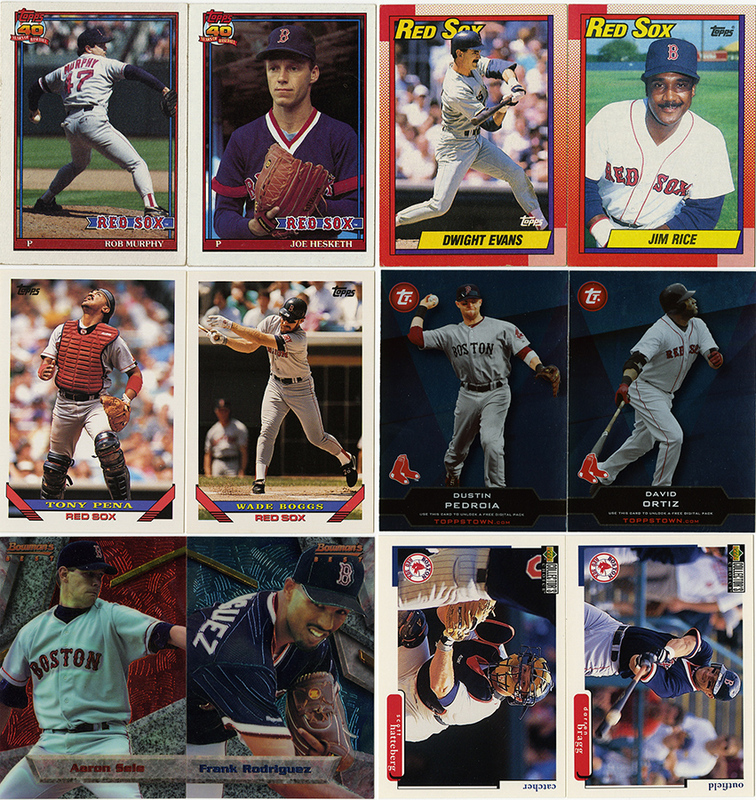 I don’t know if he did it on purpose, or if was merely a conincidence, but included along side the 2017 Archives were actual 1982 and 1992 cards. It’s fun to see some originals along with their contemporary reproductions. 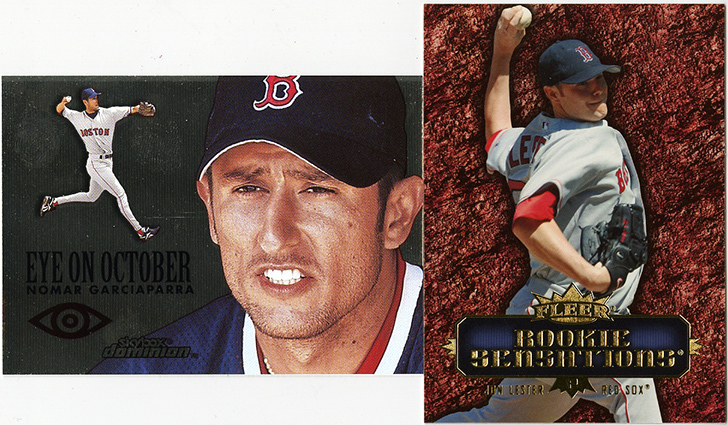 Also included as some classics: 84, 87, 89, 93 Topps, 93-94 Upper Deck, even a 2000 Skybox Nomar that I don’t think I had. 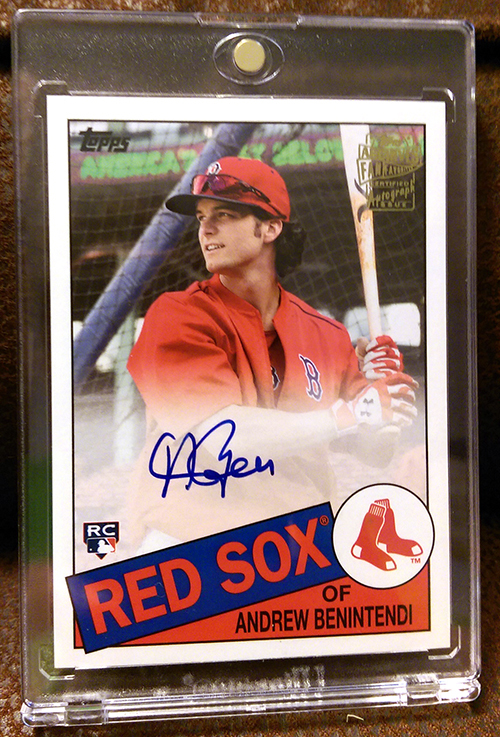 A Benintendi Archives “Fan Favorites” auto. 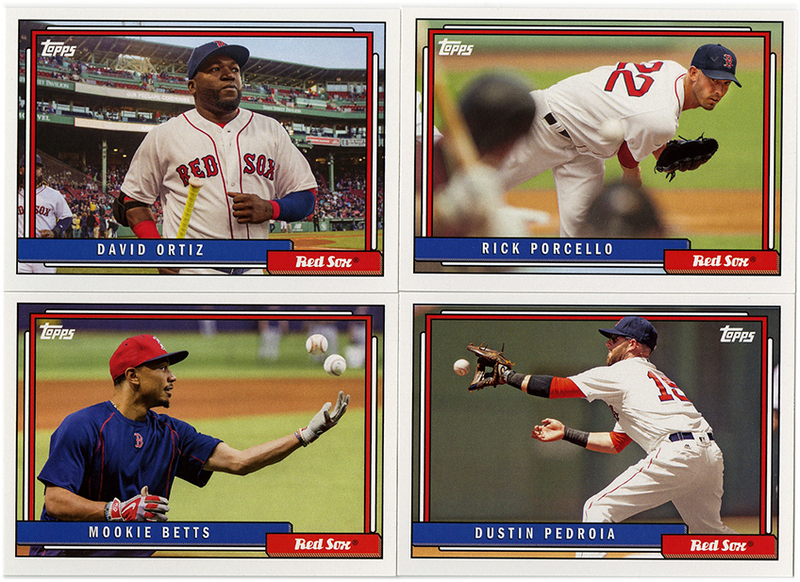 On card, and completely beautiful. I didn’t even want to take it out of the mag holder to scan it, so, you get a photo instead. 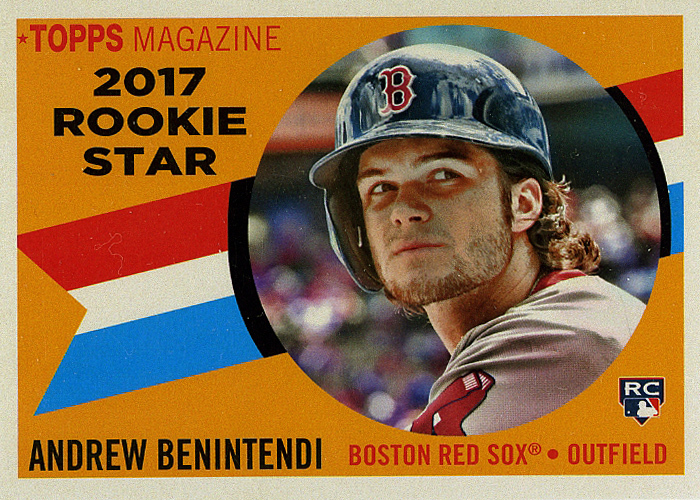 Thanks again for the break Chris, and extra thanks for pulling my first and only Benintendi auto!